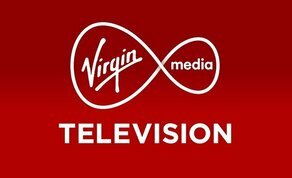 Virgin Media One will air a host of brand new programming specials, including, ‘Coronation Street: DNA Secrets Revealed’, ‘Ireland’s Weather 2018: Climate Chaos’, ‘That was 2018’, ‘The Royal Variety Performance’, ‘The Graham Norton Show NYE 2018’, ‘Happy Hour with Olly Murs’, ‘Tommy Fleming: A Voice of Hope 2’ and ‘Celtic Woman: Ancient land’. Soap lovers are in for a treat with hour long specials of Coronation Street and Emmerdale on Christmas Day as well as ‘The Big Soap Quiz’, which tests the stars of Coronation Street and Emmerdale on their knowledge of the most memorable soap moments of 2018. If you're suffering from Love Island withdrawals, an early Christmas present is on the way in the form of a festive special of the smash hit summer series where Caroline Flack reunites 19 of the most talked about Islanders in ‘Love Island the Reunion’. Kicking off our festive menu is the biggest reality show final of the year. After weeks of Bushtucker Trials, it’s time to find out who will be crowned King or Queen of the Jungle in the ‘I’M A Celebrity…GET ME OUT OF HERE!’ live final on December 9th on Virgin Media One at 9pm. If you're still suffering from Love Island withdrawals, an early Christmas present is on the way in the form of a festive special of the smash hit summer series where Caroline Flack reunites 19 of the most talked about Islanders in ‘Love Island The Reunion’ on Virgin Media Two on December 17th at 9pm. On December 19th on Virgin Media One, this year’s ‘The Royal Variety Performance’ will keep you entertained as viewers will see Britain’s Got Talent’s hilarious champion ‘Lost Voice Guy’ take to the stage at 9pm. Soap addicts get extra love this festive season, as Stephen Mulhern hosts the quiz that tests the stars of Coronation Street and Emmerdale on their biggest, funniest, and most memorable soap moments of 2018 on ‘The Big Soap Quiz’ on Virgin Media One at 9pm on December 21st. Corrie lovers are in for a special treat with ‘Coronation Street: DNA Secrets revealed’, which will air at 8:30pm (Virgin Media One) on Christmas Eve. In this one off, 90 minute special, Coronation Street’s DNA Secrets reveals the secrets lying deep in the DNA of one of the best-loved streets. On Christmas Day, push aside the turkey and crackers as Virgin Media One delivers what everyone really wants for Christmas; the ‘Coronation Street’ and ‘Emmerdale’ hour-long specials. Sports fans will have live racing to look forward to on St Stephen’s Day as the ‘Kempton King George VI Chase’ kicks off at 1pm on Virgin Media One and racing from ‘Cheltenham’ on New Year’s Day at 1.30pm ( Virgin Media One). There’s nothing quite like a TV quiz show at Christmas to cause a stir among the family. Join Bradley Walsh as he hosts a very special edition of ‘The Celebrity Chase’ on December 26th (on Virgin Media One). Also, brand new ‘The Chase Bloopers Show’ with all the bits you were never meant to see in an hour long blooper special on December 29th at 7pm ( on Virgin Media One). We’ve got the whole family covered when it comes to movies with classics such as; ‘The Commitments’, ‘A Circle of Friends’, ‘Marian Keyes Watermelon’, ‘Mission ‘Impossible 5: Rogue Nation’, ‘ Bridget Jones Diary’, ‘Night at the Museum’, ‘Chicken Run’ , ‘Mr. Popper’s Penguins’, ‘Yogi Bear’, ‘Scooby Doo 2’, ‘Diary of a Wimpy Kid: Roderick Rules’, ‘Babe’, ‘The Wizard of Oz’, ‘Kung Fu Panda’ and ‘Madagascar’. In addition, on Christmas Day, Virgin Media Two will broadcast the Irish TV premiere of ‘Alvin and the Chipmunks: Road Chip’ at 6pm and on January 1st Virgin Media One will air the Irish TV premiere of ‘Live. Die. Repeat: Edge of Tomorrow’ at 10pm. Music lovers are in for a treat with specials such as ‘Happy Hour with Olly Murs’ on Virgin Media One at 9pm on December 15th; ‘Voice of Hope 2’, a special concert by Tommy Fleming on December 11th on Virgin Media One and ‘Celtic Woman: Ancient Land’ on December 16th on Virgin Media One at 6.05pm. 2018 will be remembered for many things, from Brexit and Donald Trump to destructive storms and summer heatwaves. To close off the year, Virgin Media Television will round up what has been a memorable year with ‘Ireland’s Weather 2018: Climate Chaos’ airing on December 24th and ‘That Was 2018’ on December 28th at 9pm. On December 31st, ring in the New Year with Graham Norton as his special New Year’s Eve show (‘The Graham Norton Show NYE 2018’) airs at 11.35pm on Virgin Media One.